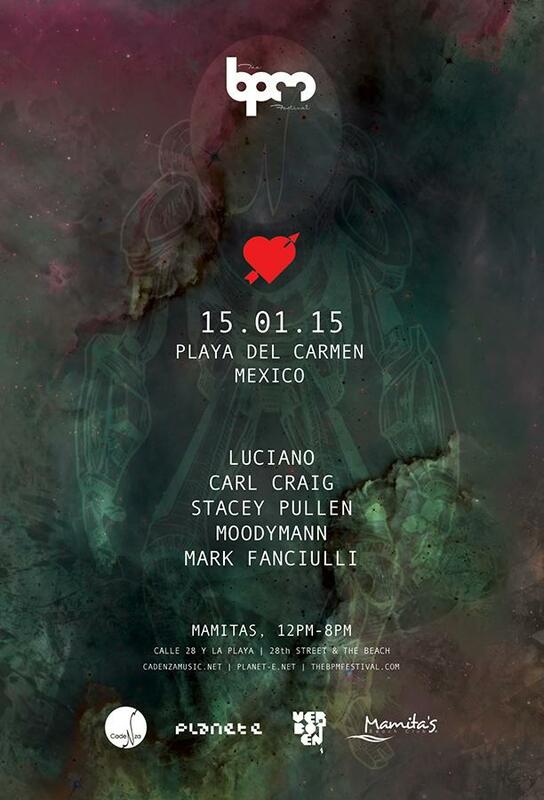 Cadenza Music Meets Planet E at The BPM Festival 2015!! Featuring Luciano, Carl Craig, Stacey Pullen, Moodymann and Mark Fanciulli. Mamita's Beach Club. January 15th, 12pm-8pm.